Engineers and designers of advanced lead-acid and lithium-ion (Li-Ion) batteries use our performance additives to improve durability and performance of batteries for hybrid and electric vehicles, consumer electronics, power tools and grid-level electricity storage. These applications are pushing battery manufacturers to deliver ever-increasing levels of performance and durability, while at the same time reducing total system cost. Our portfolio of carbon additives enable battery developers to extract the highest possible efficiency out of each active material, promoting high power delivery and energy density in Li-Ion batteries as well as extending cycle life and charge acceptance in lead-acid batteries. Our carbon additives are also used in super capacitors, fuel cells, Li-air and other energy storage devices. Our PBX® carbon performance additives for advanced lead-acid batteries can be used to address sulfation, which is the main limiting factor in extending lifetime and performance in advanced applications such as “start-stop” on micro-hybrid vehicles and industrial applications requiring “partially charged” operation. We offer battery grade fumed silica products that can extend lifetime and improve performance of lead acid batteries used in e-bikes and backup applications. 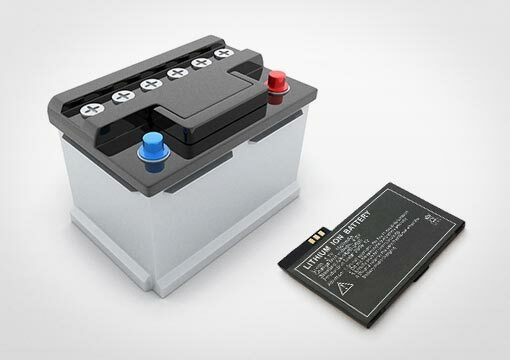 Our LITX® conductive additives for lithium-ion batteries promote higher energy density and cycle life especially in “high-power” applications such as power tools, hybrid and plug-in hybrid electric vehicles, as well as some premium consumer electronics applications. In addition to conductive carbon products, we also offer graphene-based additives that can improve energy density of Li-Ion batteries and extend the life of lead acid batteries. Activated carbon is used in dry-cell batteries (zinc-oxygen depolarization cells). Depolarization in dry elements is based on the principle of catalytic activity at the internal surface of the activated carbon. These batteries are applied in applications such as electric fences in farming and traffic signals, and require a high energy density and low energy output for a long period of time. The shelf life of these cells is long, since little to no self-discharge takes place. Our activated carbons offer high porosity that, for battery manufacturers, translates to high performance, low energy density and low weight. We are proud to be working to enable the next generation of batteries through collaborative research opportunities.